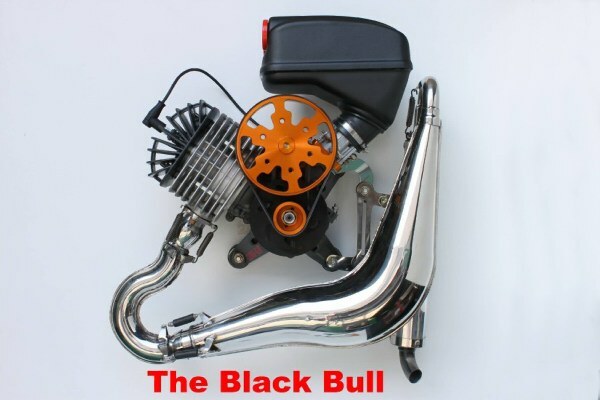 Comparing the first two pictures above the first thing we notice is that the new 2018 Black Bull has a simplified exhaust system. 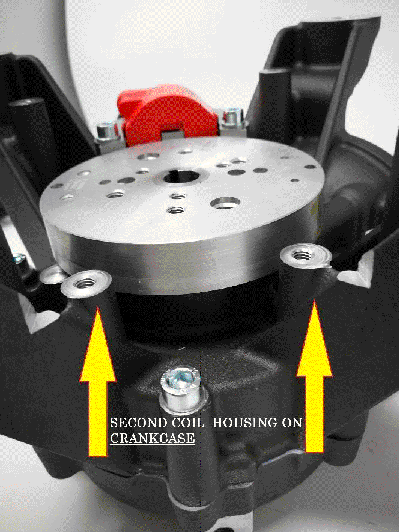 In the same time, the tone of the engine is deeper, quieter, more pleasant and with no metallic sounds that were caused by the vibration of the exhaust ball joints which as we can see, are completely eliminated! This is a new and unprecedented feature! Also, the flexible connection now has FOUR (4) interior layers which ensure an absolut airtight connection with a very long life. 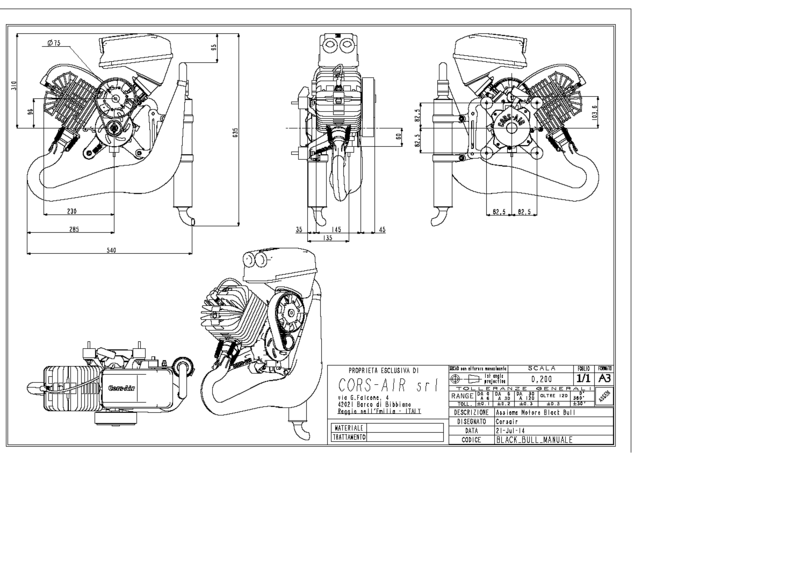 No other company offers so many versions of its engines except us! 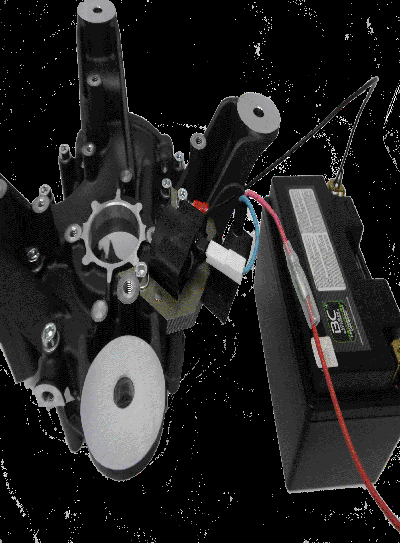 Another improvement is that, as an optional kit, the Black Bull 2018 can be retrofitted with a battery charging system for a Sealed Lead Acid Battery and a different one to charge a LIPO (Litium Polymer Phosphate) battery! Another optional item is the cooling shroud that must be purchased separately and this will lower the cylinder head temperature (CHT) by some 100 degrees Fahrenheit!!! 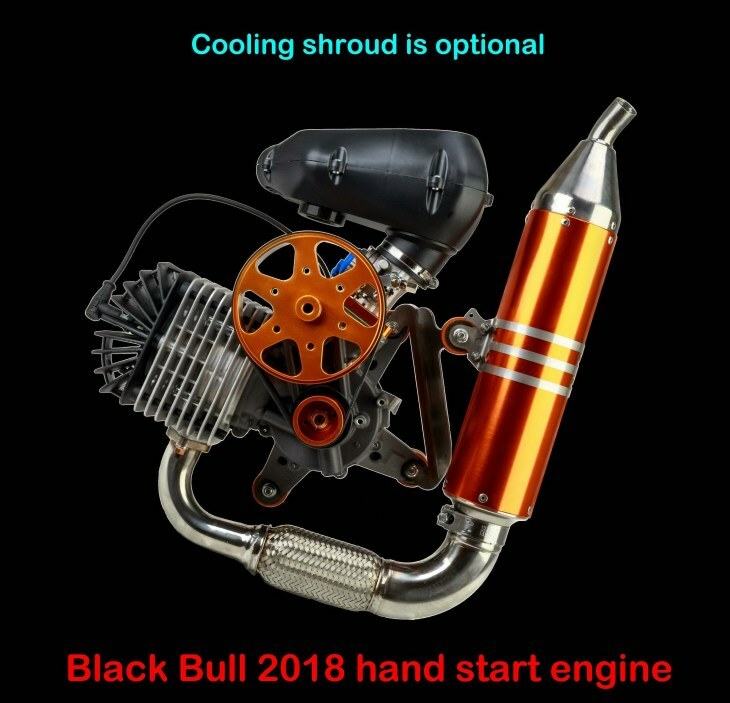 The classic electric start or hybrid Black Bull does not charge the battery in flight. 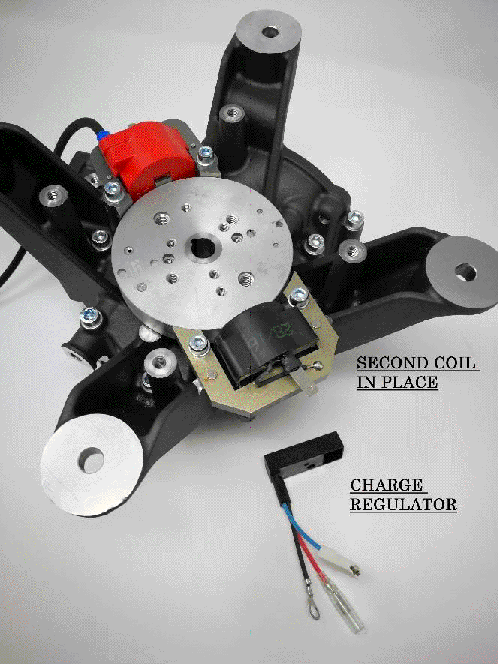 However, as a new feature for 2018 an optional charging system can be purchased.